When Sheila Katz met Nancy Kaufman, CEO of the National Council of Jewish Women, at a Jewish conference five years ago, she was so impressed that she went home and immediately joined. Little did Katz, a senior vice president of Hillel International, then imagine that she would be named Kaufman’s successor. 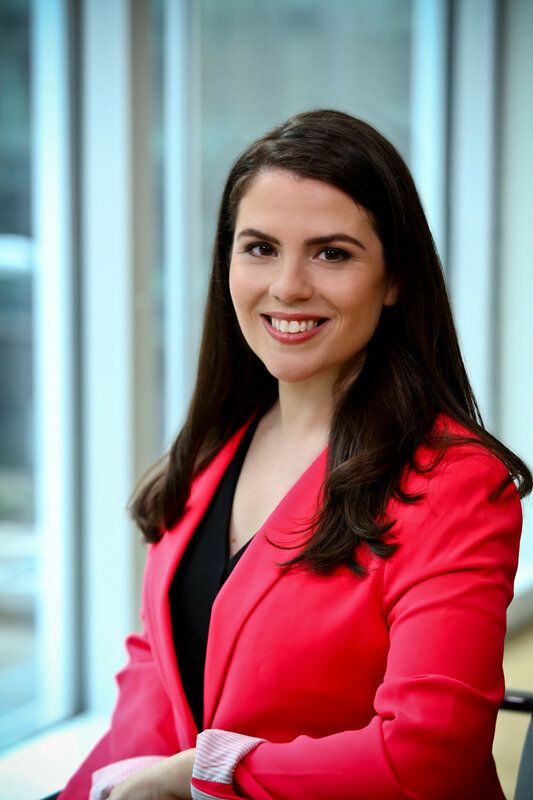 “Nancy is inspiring,” said Katz, 35, in an interview with Inside Philanthropy, the first she’s given since being named NCJW’s new CEO on March 27th. Kaufman, 68, became the first CEO in NCJW’s history when she joined the organization in 2011. She came from running Boston’s Jewish Community Relations Council for 20 years. Living in Manhattan for eight years hasn’t diminished her thick Boston accent a whit. Leaders of the Jewish feminist organization have a history of standing up to patriarchy. Katz’s name comprises the very first words in a March 21 front-page New York Times article alleging that mega-philanthropist Michael Steinhardt for years sexually harassed her and other women. And just a day before her new job was announced, Katz published an article in the Jewish wire service JTA detailing her four-year struggle to hold Steinhardt accountable. The nonprofit was founded by a woman with similar spine. In 1893, Hannah Greenebaum Solomon was frustrated about her exclusion from discussions at the World Parliament of Religions in Chicago and about being told to serve the men coffee. She and other Jewish women there formed NCJW, and Solomon was unanimously voted its president. One of the more controversial things Kaufman did during her NCJW leadership was to stay in discussion with the leaders of the Women’s March, who lost other Jewish partners when co-president Tamika Mallory praised anti-Semitic and homophobic Nation of Islam leader Louis Farrakhan. Though NCJW did not endorse the 2019 March, “we stayed involved the whole time,” said Kaufman, even after other Jewish leaders distanced themselves. NCJW’s Washington director, Jody Rabhan, co-authored the Women’s March Principles and Vision statement, which is perhaps why NCJW founder Hannah G. Solomon is listed as one of the 28 “revolutionary leaders” whose memory the Women’s March honors. “I believe strongly that you have to be in relationship with people and not separate yourself from them,” even when you strongly disagree, Kaufman told IP. Despite its more than century-long history of political activism, when she took it over, “NCJW was a very sleepy organization,” said Kaufman in an interview Wednesday. Since 2011, she has increased membership to 90,000 women affiliated through 60 sections, as the chapters around the country are called. Kaufman increased funding by 20 percent, she told IP, and grew the staff from 22 people to 30. This year, NCJW’s operating budget is $5.5 million. She also initiated a strategic plan that consolidated offices from two in New York and Washington to a single headquarters in the capital, which suits the organization’s focus on Congress and the judiciary. Her proudest achievement is that strategic plan, she said, which also added a community organizing focus to NCJW, which, since it began in 2016, has trained thousands of young Jewish women in community organizing methods. Another signature accomplishment, said Kaufman, is that she grew NCJW’s involvement with feminist Israelis. Seventeen Israeli feminist organization leaders are attending early April’s NCJW’s Washington Institute. The goal is for them to network and gain a better understanding of how American Jewish women create wide-scale change. Kaufman also built up NCJW’s funding sources. When she came on board, the organization “ironically had no Jewish foundation support,” she told IP, though it was getting funding from secular foundations like the Ford Foundation. “Jewish foundations were not even on NCJW’s radar,” she said. Today the organization’s two top funders are Jews: One who requires anonymity, “who came to us after the election believing that women would be the ones to lead change in this country,” Kaufman said, and Minneapolis’ Weiser Family Foundation. Other Jewish family foundations with which she cultivated relationships include the Charles and Lynn Schusterman Foundation and the Dobkin Family Foundation, among others. Her most recent grant wins? A Rockefeller Philanthropy Advisors grant of $100,000 for each of the next two years to fund activism on reproductive health rights. The organization also received a major gift from Jeffrey Schoenfeld, a banker currently serving as president of UJA-Federation of New York. When Kaufman met him at a gathering of Jewish leaders, he was eager to share stories of his late mother’s devotion to NCJW San Francisco, where she volunteered at the section’s thrift store. He wanted to meet again with Kaufman on his mother’s birthday, she said, and ended up endowing an NCJW fund to provide scholarships for training of emerging leaders. NCJW thrift stores were for years the organization’s primary public face. Today, they number fewer than in earlier years; about 10 sections maintain thrift stores, sometimes several. The Los Angeles section doesn’t require much fundraising because its eight thrift stores produce about $1 million a year, Kaufman said, which underwrites youth education and mental health services for more than 12,000 Angelenos each year. While NCJW has always had a political focus, said Kaufman, “it skipped a generation.” Part of her reigniting NCJW was to make sure its sections relate to the way many American Jewish women live today. “We have pictures of women lobbying in the capital from the 1920s, wearing big hats and big dresses,” said Kaufman. Its triennial Washington Institute is being held April 7-9. Participants from around the country will strengthen their advocacy skills, be brought up to speed on key current legislation and lobby their lawmakers on Capitol Hill. Historically NCJW “was the place for women not working outside their home, who were really smart Jewish women but couldn’t be on their synagogue or Jewish federation boards. It was where they could have a voice and do real serious policy work,” Kaufman said. Even after American society and the lives of most Jewish women changed, NCJW sections “still met during the day, not recognizing that most women now needed a different kind of organization,” said Kaufman. “It took a long time to rebuild, but I’m turning over something wonderful to Sheila,” Kaufman said. Katz, for her part, plans to grow NCJW in a way similar to her strategy at Hillel International, where she developed the successful MitzVote campaign. It kicked off with a video homage to bat mitzvah montages—but this one was filled with celebrities from Lisa Edelstein and Josh Malina as the fictitious Hannah’s parents, comedians Scott Rogowsky and Michael Ian Black as her parents’ strange friends, and others playing her favorite Jewish camp counselor and rabbi, all encouraging “Hannah” to get her vote on. Some 120 campus Hillel chapters got involved and registered more than 20,000 Jewish college students to vote, increasing the number of midterm election voters in the relevant age group by 4 percent nationwide, according to the MitzVote website.